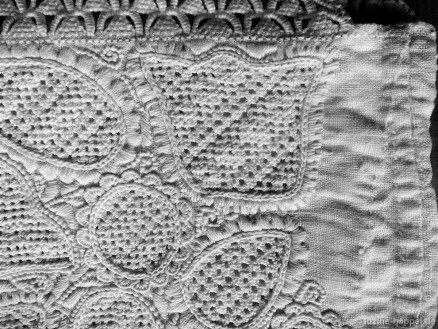 The embroidery of the Schwalm bodice (B) has many variants. The linen used has a 21–24/cm thread count. The picture shows the entire border in a photomontage. 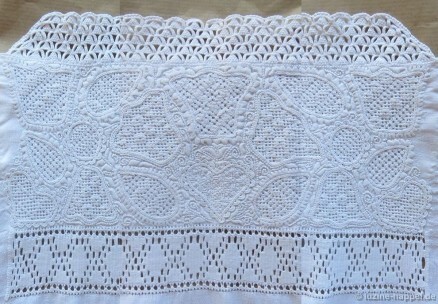 The border design has a width (from needlelace to needle-weaving band) of about 9.5 cm. 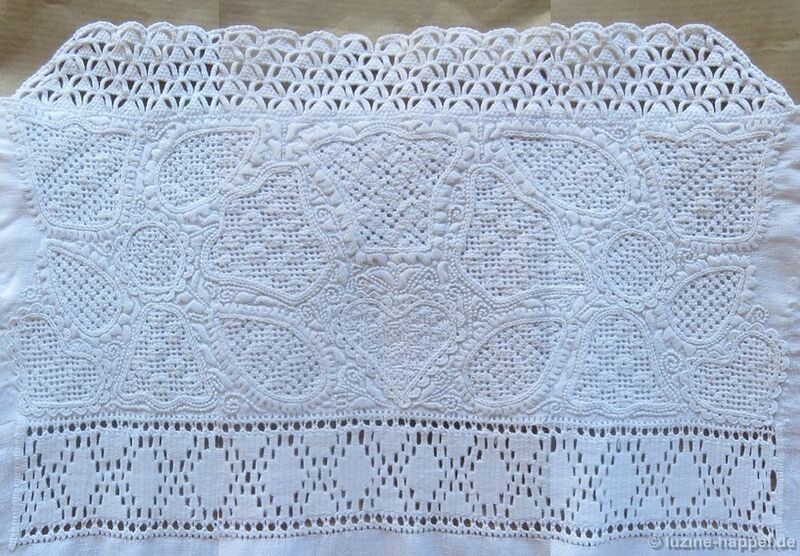 The following pictures show the embroidery enlarged; the embroidery is actually very fine. 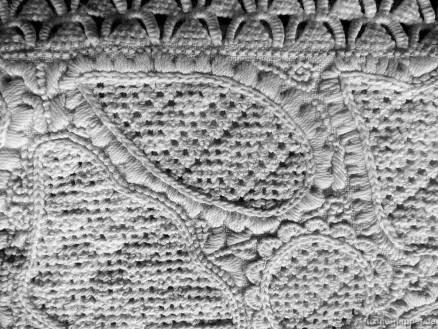 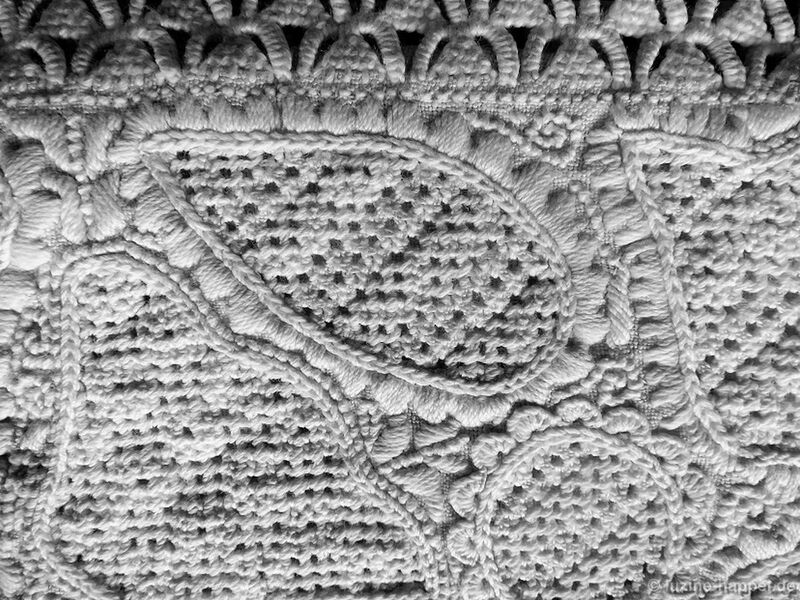 A seven-unit mirrored pattern was worked as a needle-weaving band. 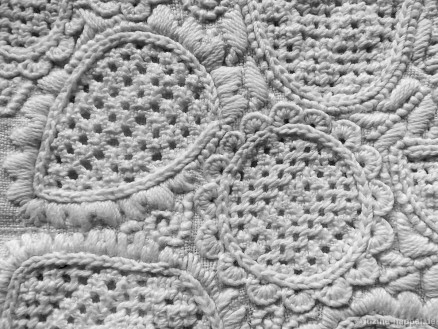 For more information about needle-weaving bands – the different kinds and the different ways of working – please look to my book Fancy Hems. The bottom edge of the sleeve cuff has an elaborate needlelace edging. 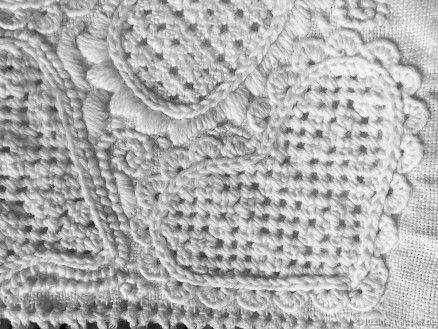 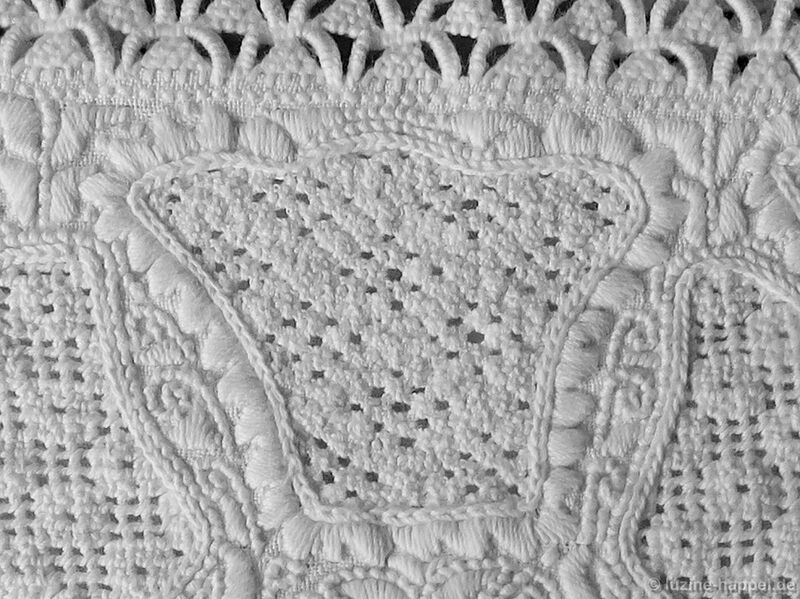 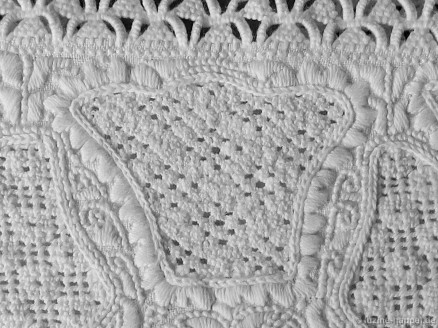 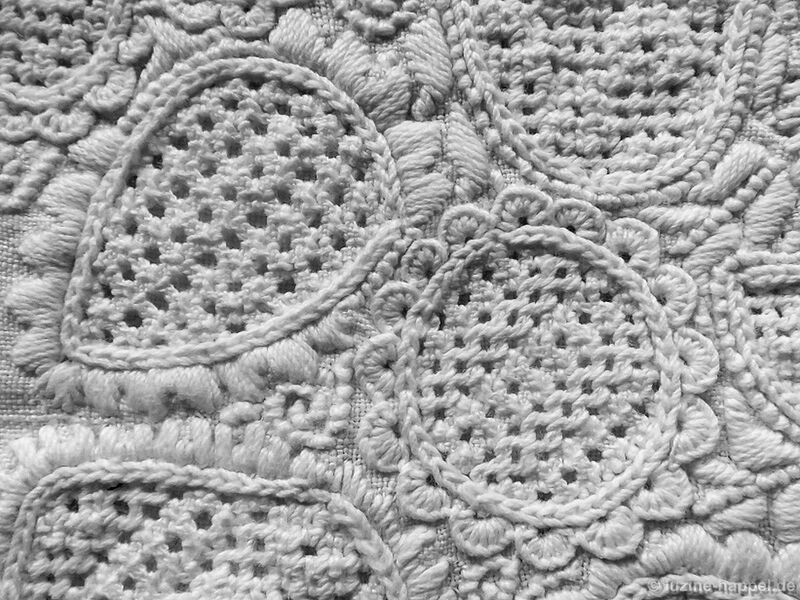 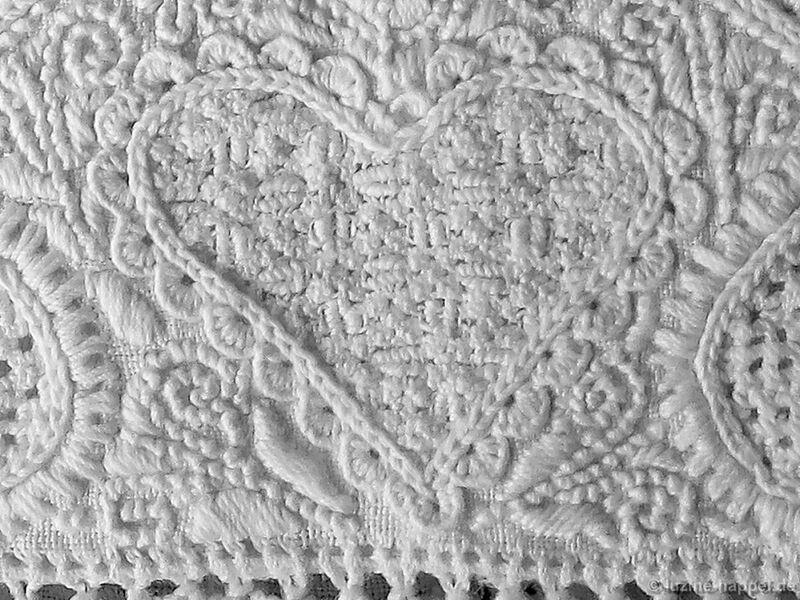 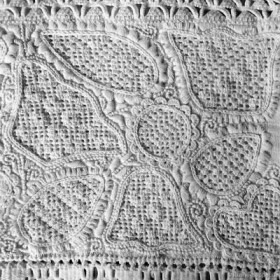 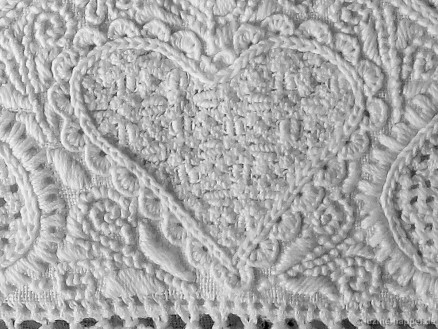 Between the needle-weaving band and the needlelace, a band was embroidered with Schwalm whitework. 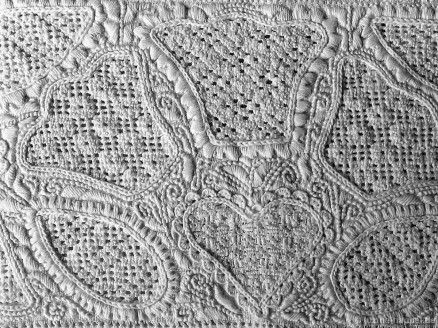 Please notice that there is nearly no unembroidered fabric between the motifs. 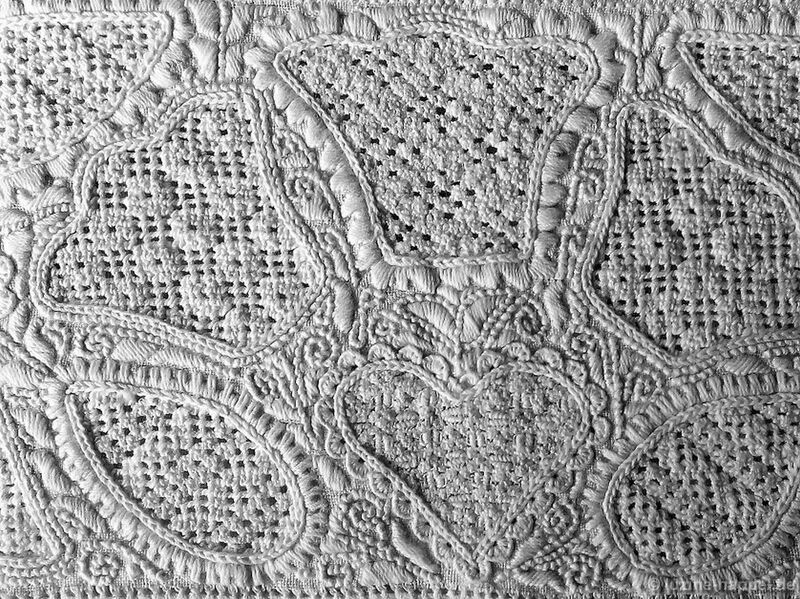 And please compare the Chain stitches of this bodice with the Chain stitches of the Schwalm bodice A. 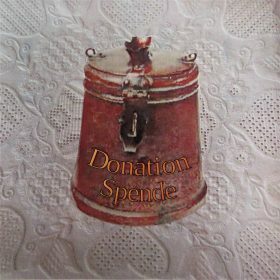 And now the pictures shall speak for themselves. 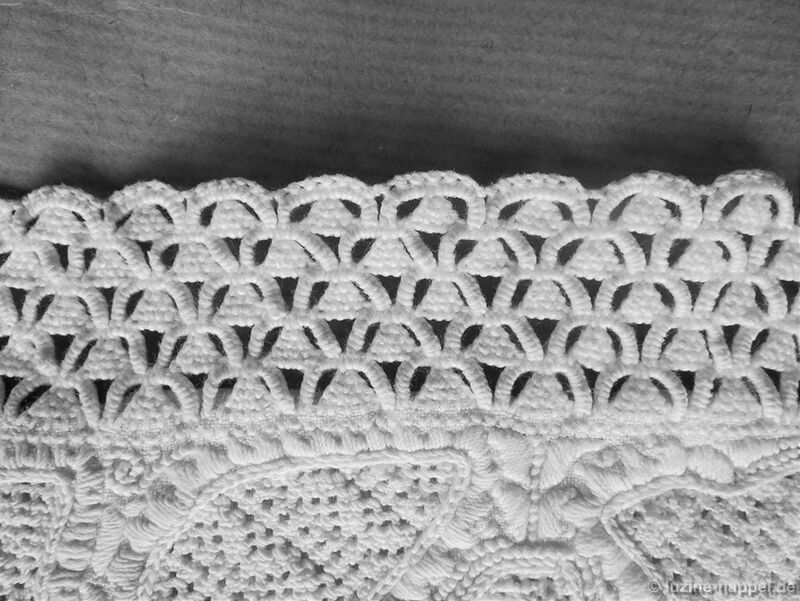 Enjoy a close and careful look.